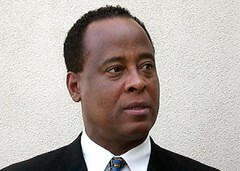 Bump and Update: Dr. Conrad Murray has been sentenced to four years in jail. A restitution hearing has been set for January. Dr. Murray waived his right to be present. The defense will file a Notice of Appeal. Bump and Update: Here's a trial primer. Here's a rundown on the jurors. You can watch the live stream of the trial here. Following the preliminary hearing in the case of Michael Jackson's doctor, Conrad Murray, an LA judge has ordered him to stand trial on a charge of involuntary manslaughter. Prosecutors contended the Houston-based cardiologist was on the phone and distracted after administering a powerful anesthetic to Jackson. They also presented evidence the singer was dead by the time Murray summoned help. Judge Michael Pastor also ordered Conrad's medical license was ordered revoked as a condition of bail. Circumstances have changed," Pastor said in court this afternoon. "They have changed dramatically. There are extraordinary circumstances that mandate my approving the request of the [California] Medical Board. Overall consideration is the protection of the public. The continued practice by Dr. Murray does pose an imminent danger to the state of California." Dr. Murray "did unlawfully, and without malice, kill Michael Joseph Jackson ... in the commission of an unlawful act, not a felony; and in the commission of a lawful act which might have produced death, in an unlawful manner, and without due caution and circumspection." 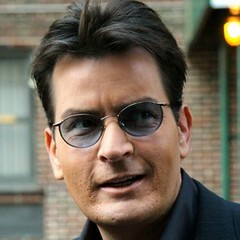 Actor Charlie Sheen will appear in court in Aspen at 2:30 pm MT. The court docket states the matter is set for a bond appearance. Multiple media reports and a press release by Pitkin County indicate charges will be filed against him, most likely felony menacing and misdemeanor assault. His wife, Brooke Mueller, has also been ordered to appear so that the Judge can address the Sheens' request to modify the mandatory protective order preventing them from having contact. TMZ reports a plea bargain may be in the works, but it won't happen tomorrow. My thoughts on what the plea bargain would entail are here. 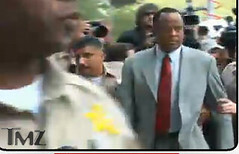 Dr. Conrad Murray is in Los Angeles, where law enforcement sources say a charge of involuntary manslaughter is imminent for his alleged role in the death of Michael Jackson. His legal team says they aren't sure what's happening, but if he's charged, he's prepared to surrender.